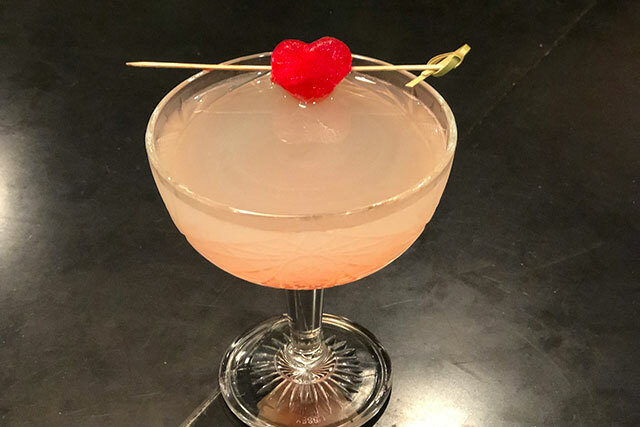 The romantic drinks to sip all around L.A. this Valentine's Day. 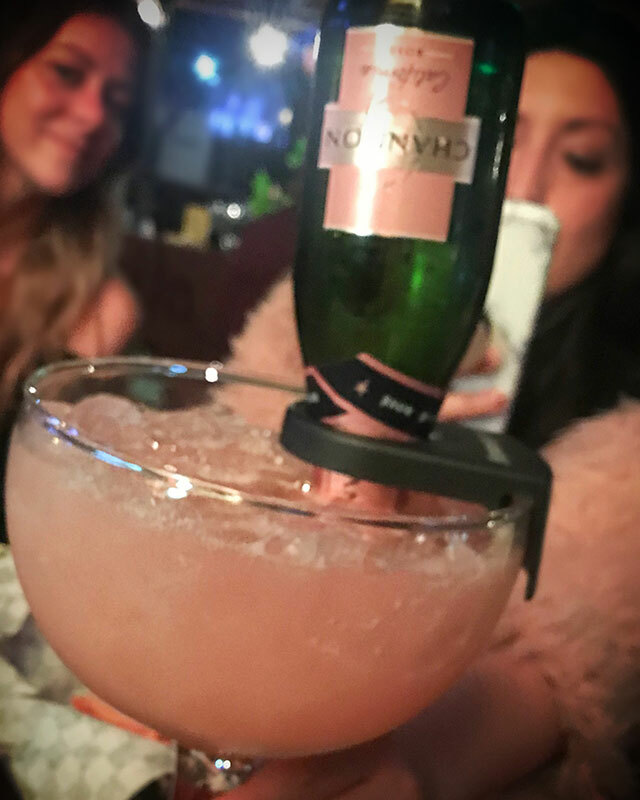 Screw roses, we will take a dozen cocktails this Valentine’s Day! Whether you are coupled up or flying solo, cheers the lovey-dovey holiday with one of these cupid-approved cocktails in L.A..
For those searching for a relaxed and friendly atmosphere this Valentine’s Day, the beachside four-in-one concept Playa Provisions, owned and operated by “Top Chef” winner Brooke Williamson and husband Nick Robert’s, is offering a handful of Valentine’s Day specials, including a Melt Your Heart cocktail. It’s made with Hendrick’s gin, elderflower, lemon and a grapefruit-infused Campari heart. 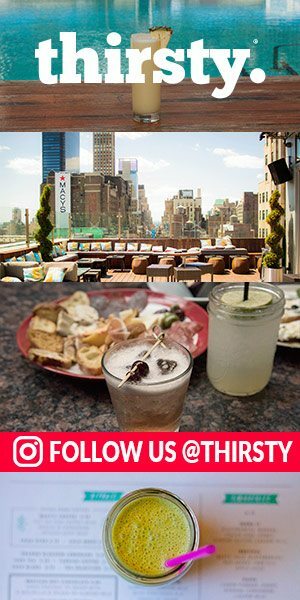 Get “Lovestruck” with Skybar at Mondrian’s signature Valentine’s cocktail. It’s made simply with Grey Goose Vodka, strawberry puree and a splash of grenadine. Treat your beloved to some true Southern hospitality this Valentine’s Day at Preux & Proper in Downtown Los Angeles. At the bar, get naughty with the 50 Shades of Lavender COCKTAIL comprised with Haku vodka, house lavender Earl Grey syrup, sparkling rosé, garnished with a lemon peel and fresh lavender. 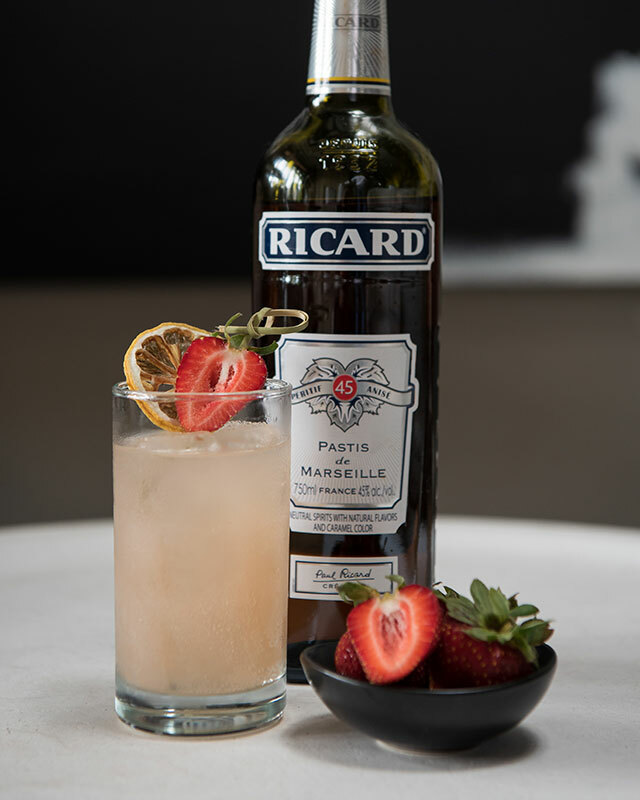 Translating to The Strawberry Rosè, Norah’s Le Rose Fraise is a gorgeous cocktail made with rose wine, pisco, strawberry balsamic-cordial, cardamom bitters, lemon juice, soda and garnished with a flower. You always have to watch out for a heart breaker this time of year. Luckily, the Heartbreaker cocktail from Doheny Room in West Hollywood won’t make you cry. 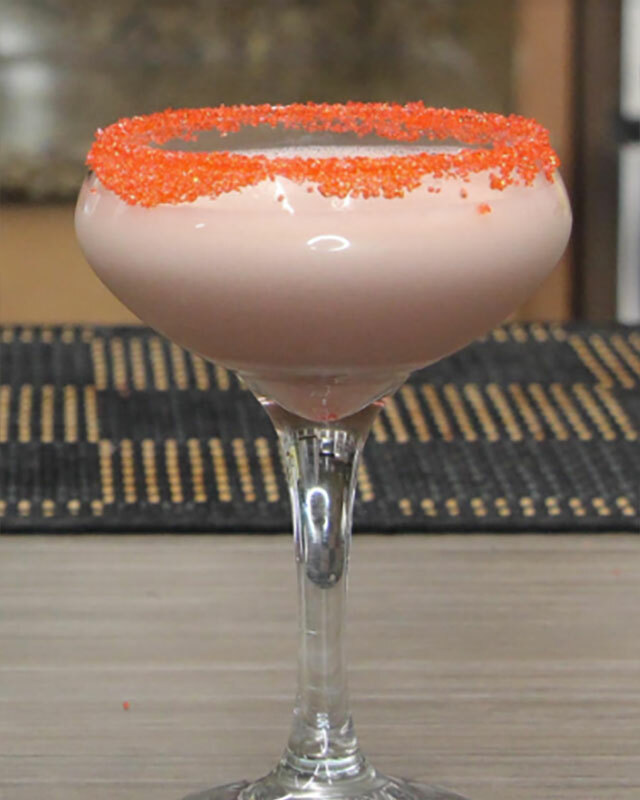 Created by mixologist Ryan Hooks, the drink includes vanilla vodka, cream, chocolate liqueur, raspberry liqueur and a red sugar rim. 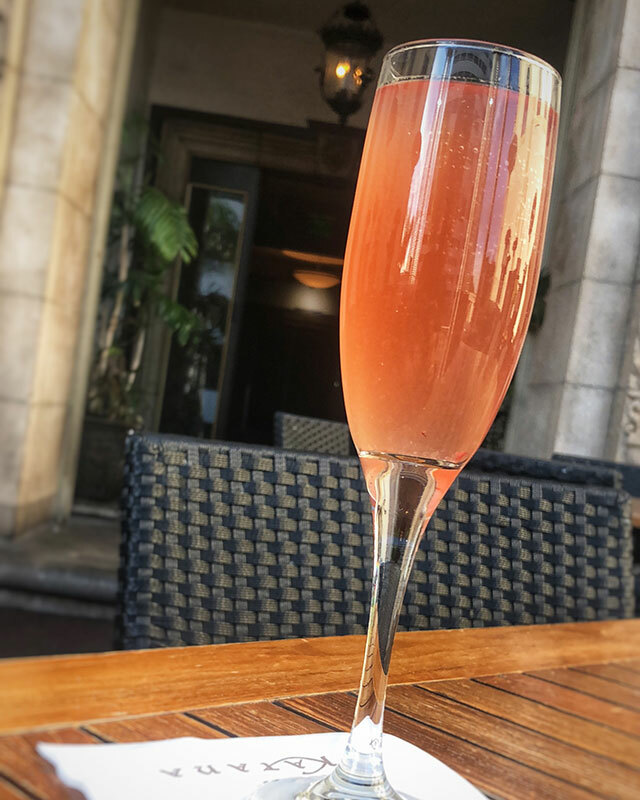 The ultra romantic Mission Inn Hotel & Spa is celebrating love all month long with its third annual Festa dell’Amore celebration. 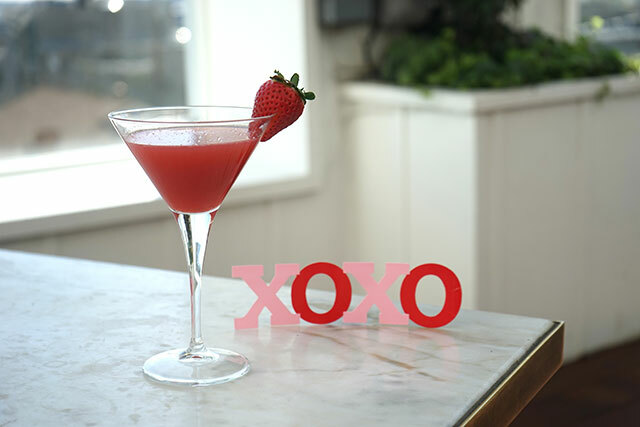 Throughout the February, lovebirds can order the Cupid’s Arrow cocktail made with Absolut Vodka, champagne, peach schnapps and cranberry juice, garnished with a sugar rim and two heart-shaped strawberries. Sip and savor delightful dishes and delectable drinks at The Raymond 1886 this Valentine’s Day as Executive Chef Jon Hung has created a deliciously decadent Four-Course Prix-Fixe Menu ($115 per person) that will be available through Sunday evening. 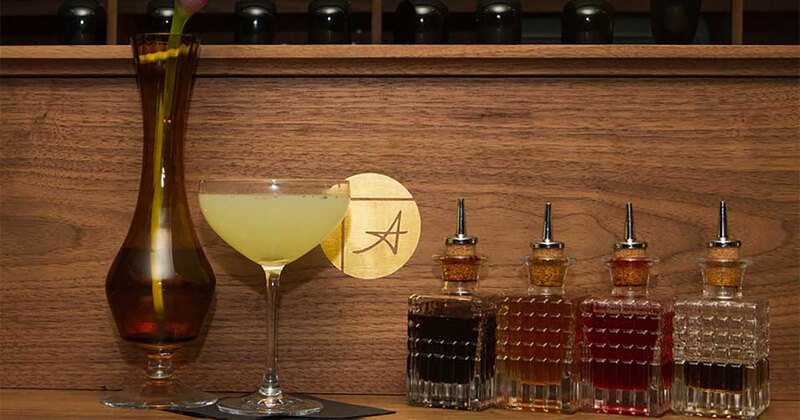 Enhance your enchanting evening with a sensationally sensual cocktail, created by Head Bartender Cameron Masden. The Amor! 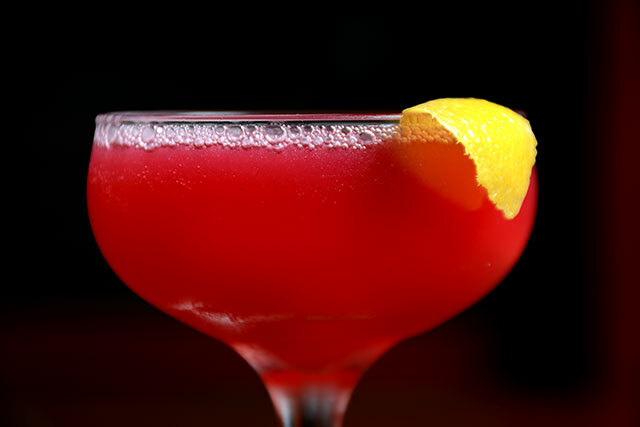 is made with vodka, orgeat, lemon and hibiscus, served up with a lemon peel garnish. Having a reservation at one of the most romantic high-end seafood restaurants in Redondo Beach is insured for one of the most memorable Valentine’s Day yet. Whether you’re spending the day with family, friends, or significant other, Chez Melange has provided an outstanding three-course prix fixe menu for $75 per person and specialty cocktails that will have you coming back every single year. 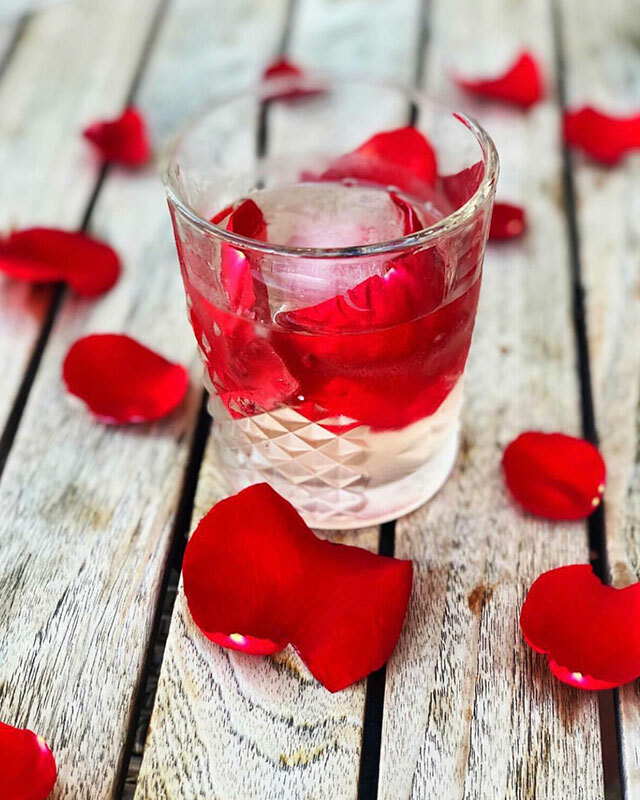 Our favorite is the Love Potion cocktail that includes rose petal infused sparkling lemonade and Kettle 1 Vodka. The Kiss from a Rose from Katana West Hollywood is a light, refreshing Aviation Gin cocktail made with lime, St. Germaine, Pama Liqueur, topped with a rosè float and rose petal garnish. 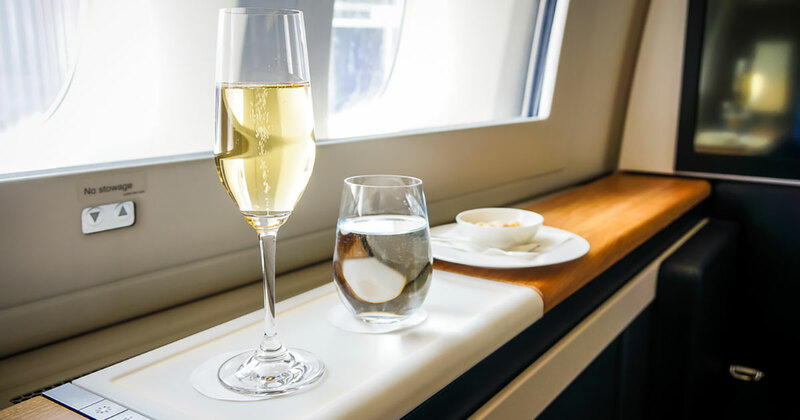 For Valentine’s Day, many couples travel up to Santa Barbara County for romantic wine getaways, but we found an equally romantic cocktail at S.Y. Kitchen in the area. 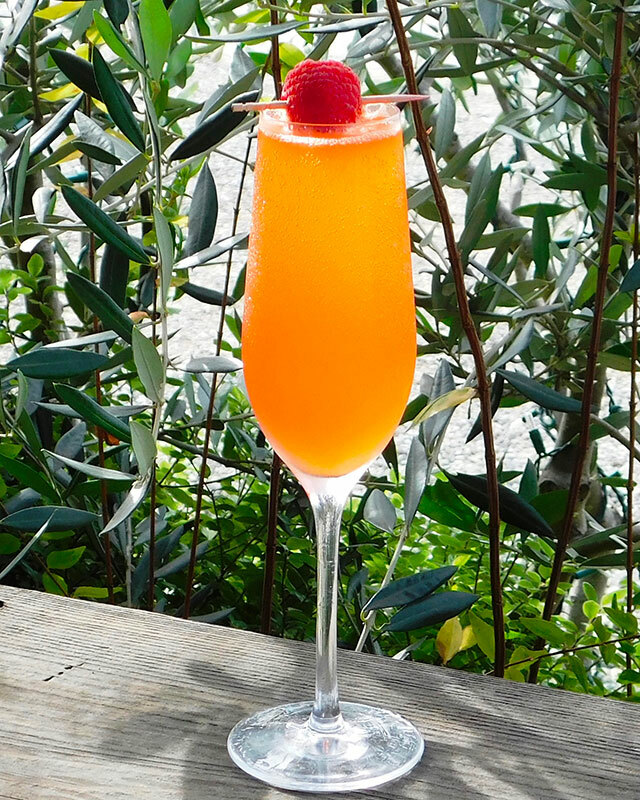 Created by bar manager David Medina, the Valentino features Aperol, vanilla-infused vodka, lime, raspberry and prosecco. Ti amo! It’s all about “sharing the love” at Te’Kila in Sherman Oaks’, the easy-going locale with Mexican eats that boasts over 300 types of tequila. 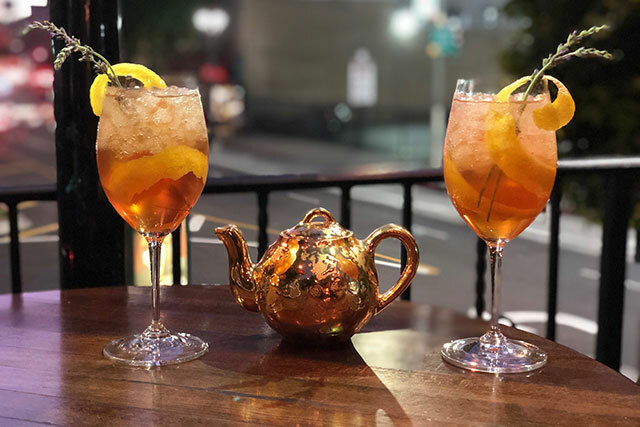 They’re featuring a special Valentine’s Day pre-fix menu for two, paired with a shareable Tekini Cocktail made with peach, lime, tequila and a Chandon rose champagne topper – can’t go wrong with that! Heat up the night and head to Silverlake classic Casita Del Campo for some fiery fun this Valentine’s Day. 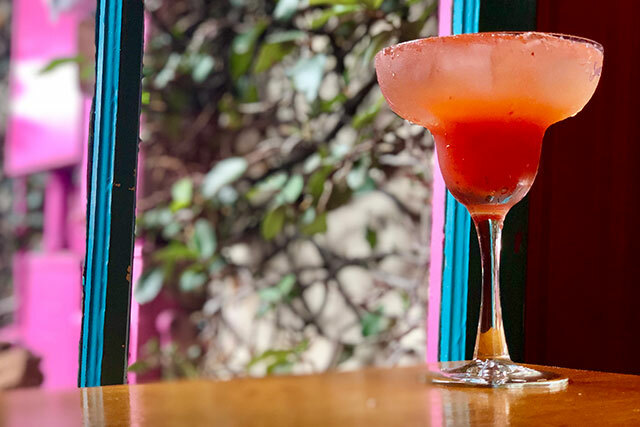 Savor some Mexican fare that will make you feel as though you are South of the border and settle into this perfectly pink restaurant. 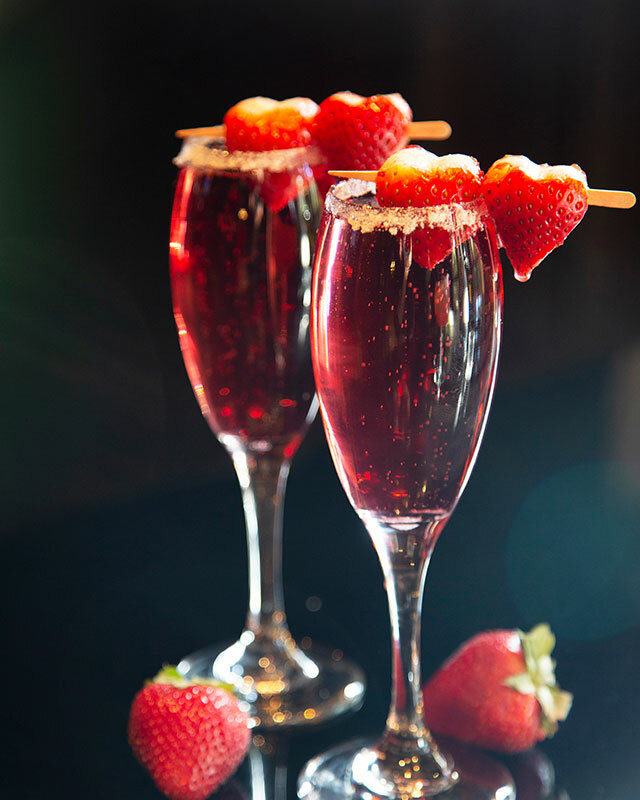 Pair your bites with the Besamé, a special Valentine’s Day cocktail made with tequila, triple sec, lime juice, a splash of strawberry purée and Brut.